The accessibility of Arduino combined with the connectivity of Windows. Quickly iterate and expand on hardware and software designs using existing shields and sketches. Leverage the Windows platform and its diverse hardware ecosystem. Utilize familiar Win32 programming using best in-class development and debugging tools. Connect with your fellow developers and share code contributions through GIT. Participate and influence subsequent releases of the SDK. Learn how you can make great connected things and contribute back to the community. Set up your Galileo board and get your project rolling. Find a sensor, look at samples, or check out the project the community is building. If you’re not already a part of the program, sign up here. Visit the Github repository for our open source implementation of the Arduino API set on Windows. Post questions and see responses about this Developer Program on Stack Overflow. Visit Wiring.org to find a description of the elements that constitute the Wiring framework. Follow the #winbuilder hashtag on Twitter. 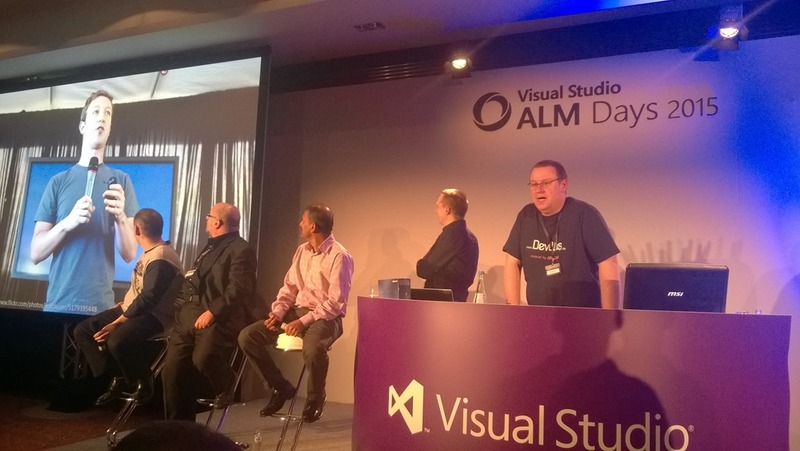 Post questions and see responses about the Developer Program on the MSDN forums. Listen in or contribute to the live community chat. Review or submit bugs for Microsoft and the community at our Microsoft Connect site. 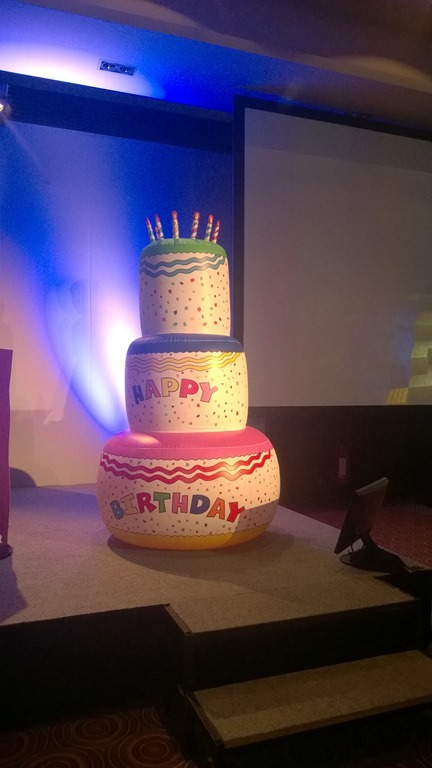 Last Week @AlmDays in Düsseldorf was the ALM Community & Product Team present to celebrate 10 years of Team Foundation Server . 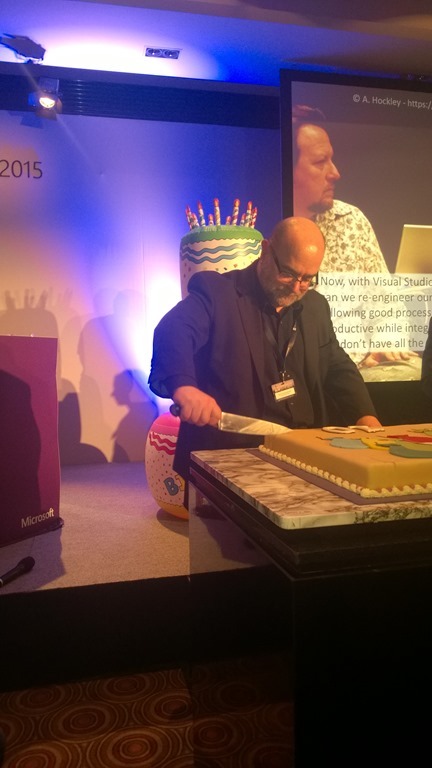 The highlight was when Sam Guckenheimer has cut the birthday cake . Session Videos & Slides are online – have Fun check in it. For seven years since the Prism project started, led by the patterns & practices team, was originally known as the Composite Application Library. Last year was the 5th official release of Prism. The two major focuses of that release were: compos ability and ease of community contribution. Ownership of Prism projects is transferred to community members. Brian Lagunas. Brian is a Microsoft MVP whose involvement in the project started with Prism 2. .
Ariel Ben Horesh. Ariel has been involved with Prism since its first release. Brian Noyes. Brian is also a Microsoft MVP and has also been involved with Prism since its inception. The idea is to improve an already mature product with new features and to support new platforms (can you say Windows 10?). Already have a number of items that we will be addressing in the next version of Prism. Here is a highlight of some of them. Besides these small feature improvements, we will also be looking at restructuring the Prism solution to make a more cohesive product, reduce dependencies, and to better support cross platform development; such as iOS and Android using Xamarin.Forms. You can expect a number of breaking changes in the Prism 6 release as we take Prism in this new direction.
. We’re excited about Prism’s future. 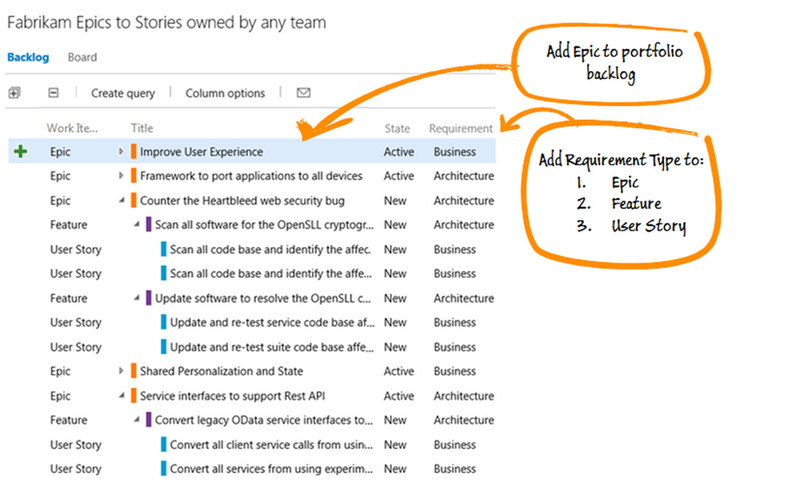 an new page for Agile Tools Visual Studio Online provides you the tools you need to run your agile team. You may ask, what’s the link between such an terms in one or another discipline, here is short description. And another example that Abstract Processes can be used in any industry /discipline is Brian Harry, that is managing his Farm in free time using Team Foundation Server and Scrum. As a rugby spectator, sometimes it’s hard to see the ball. You may also not be entirely sure what’s going on and it looks like complete chaos. You watch the rucks and mauls to determine where the ball is going, but you know by looking at the scoreboard if the team is scoring try’s or not. Those who are watching Agile teams without being involved may not understand exactly how it’s happening, but observers will see Agile teams score points by delivering business value in a short amount of time. Yeah, Rugby looks like chaos to the newcomer, but there are many laws. Players are making split second decisions and well-played games move very quickly. Agile critics say there is a lack of structure or documentation. The structure exists and the process is defined, but it Agile doesn’t need the rigidity of Waterfall because by its nature, it is allowed to be flexible and respond to the changing needs of the business. Scrum: 5 or 8 players who act as a tightly cohesive unit that pushes together in same direction in order to put the ball into play. The Scrum team: a collaborative, intimate team that is delivering business value in a tightly coordinated fashion. The Scrum Half (#9) directs traffic between the forwards in the scrum, rucks, or mauls, and back line. The Scrum Master coaches and coordinates between the team members to foster communication and collaboration. The Referee is meant to be an impartial witness of the match and blows the whistle for the infractions made by the teams. As Billy Tilson puts it: “If a referee called every infringement then the game would be a painfully slow and static. Good referees try to lead the participants to a good balance for optimumvelocity.” I’ve also witnessed referees stop the match to provide a bit of coaching and guidance to new players. In addition to the above analogy, a Scrum Master will let the team know when they’ve stepped out of bounds from the methodology and tell them what consequences may follow. An excellent Scrum Master will not be involved in the work and serves to “referee” by asking the team about what they can and can’t do. Scrum Masters will guide a team towards what works for them so that the team can become more efficient. A Scrum Master also has to allow a team to fail, so that they can learn from the experience. As a rugby player, you fulfill certain duties according to what’s being called for at a specific point in time, based on your current location on the pitch. You do whatever is needed. It’s never about one person being the star; It’s about the whole team. In certain plays, anywhere from two to five people will cooperate to make advancements down the field. Agile Teams thrive when they are cross-functional, with a variety of skills and expertise. In a team of about seven people, the commitment to seeing the whole team do well is driven by the fact that team members get the job done according to what is needed at a given moment regardless of what job title any one person has. Owners and Managers of any sports team provide the tools, resources, sponsorship, funding coaching, and cheerleading needed by teams. Owners set the goals (to win), and Managers help them get there. The Product Owner and Agile Manager are two roles supporting Agile Teams. The Product Owner helps sets priorities and is the voice of the organization to the team. The Agile Manager supports those team members and embraces the methodology and supports the efforts within the organization. As a player, you don’t carry the ball the whole time, and you can’t be a play maker all the time. There’s a place and time for demonstrating leadership and a time to be in support, or pass the ball. Rugby players on the pitch will read the play happening before them and will act appropriately, be it to go into the ruck or fall into the backline. Agile team members never carry the workload alone. The Scrum Master isn’t the leader of the team, but should strive to be an aide to the team. The work involved in building software is estimated, built, and tested as a team and no one team member will be the hero for a givenstory. Empowered agile teams are not told how to do their work. They are self-organizing and determine what needs to be done, when, and how. The better a team is, the faster they play. The better a team is, the faster they begin to deliver business value; team velocity will increase over time. Offensive open rugby play repeats itself through phase after phase of play. The ruck or maul is created, the ball is retained, and the ball is carried forward for the next phase. The ruck or maul is set, again. Some phases are longer than others. The end goal is to make a try. Within a fixed amount of time, the team will plan, work, and review on a regular basis. The cyclical nature of the development is best captured in this diagram. Watch some inspiring movieabout a sports team and you’ll see the values that tend to exist are those of commitment to one another, respect for the work that goes into being a player, focus on the sport and while playing, openness to grow, and courage to overcome obstacles as a team or individual. These are the values present in high performing Agile teams. Commitment to deliver as a team, respect of everyone’s capabilities, focus on the highest priority stories, openness to discuss approaches and techniques, and the courage to push back when necessary. I earnestly believe that joining James River Women’s rugby helped me grow as an individual and develop my leadership skills for the team on and off the pitch. As an inaugural member of the team, I have watched that team grow and change. All rugby teams go through growth to learn and improve, be it within a match or over the course of a season. In my path to being a Certified Scrum Master, I found that I had to challenge my ways of thinking about software development that have helped me grow as an IT professional. It’s not just another certification, but a transformed way of thinking about building teams, and even life in general. Just ask Lyssa Adkins. They are avid fanatics who will paint their faces, adorn themselves in team colors and probably used to play at one point in their lives. They are avid fanatics who passionately believe in different ways to deliver value to a business and empowering software teams, not just building software on time, on budget, and within scope.